We've decided to help arena roaming fans keep track of new arena opportunities, as well as those venues that may end up with new hockey tenants, or end up closing or vacant this upcoming season. We'll have a series of reports as the season gets closer, but decided we would start with the major North American pro leagues in our first report. We'll break things down league-by-league and let you know what to expect for next season. You've all read about the shakeup with the AHL and the creation of the Pacific Division. With this westward movement you will find the ECHL moving into a trio of East Coast cities, 2 AHL teams sharing a venue with their parent club in Winnipeg and San Jose, and hockey returning to San Diego for the first time since 2006. Hamilton will be backfilled by an OHL team which will take over the Bulldog identity and should provide Hamilton fans with quality hockey. Sadly OKC and Worcester look to be without a team in their venues this upcoming season. Tied in with the AHL Western movement, the ECHL essentially swaps 3 Western teams for 3 Eastern AHL markets. As of now no other teams are listed as folding or joining, but last season the CHL was absorbed into the league just as training camps were about to start, so there could be more movement among ECHL franchises. If so we'll keep you posted. One interesting arena opportunity presents itself in the ECHL this upcoming season as Adirondack is scheduled to play at the historic Olympic venue on March 13th. This would make for a rare pro hockey contest in Lake Placid. 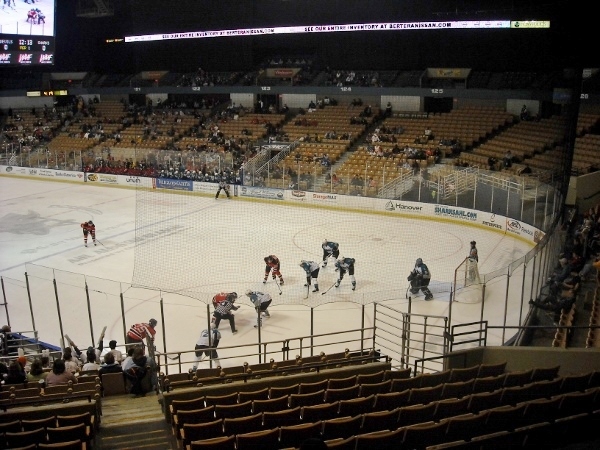 As of yet the only change announced in the SPHL has been the announcement of the return of hockey to the Macon Coliseum, former home of the Macon Whoopee. We'll see if anything else changes as the season approaches. a person who does not have any commitments that restrict their actions. 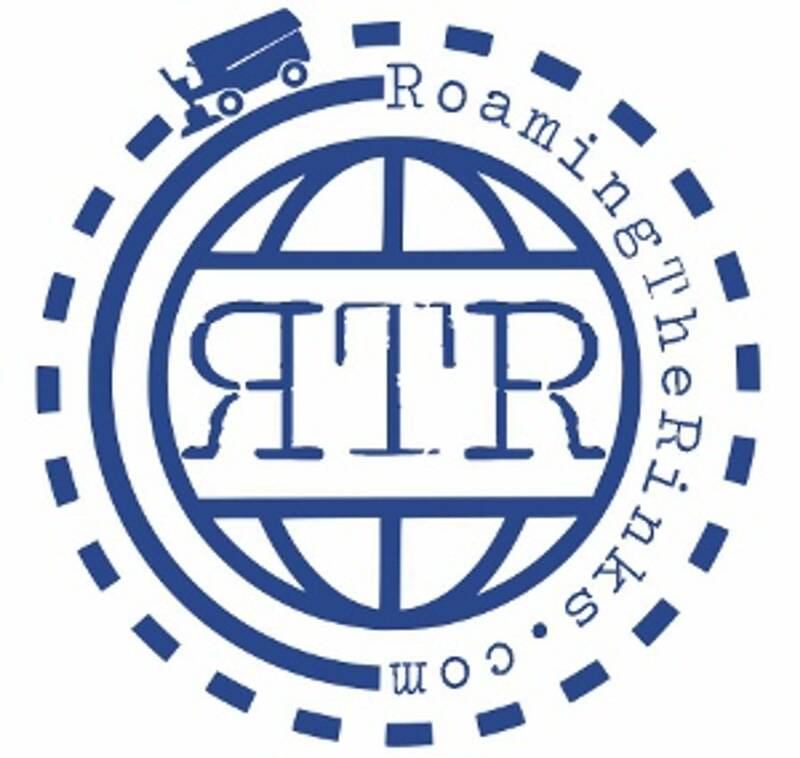 The phrase free agent is best known as a sports term, but will accurately describe the changes that at coming here at RTR for the upcoming season. 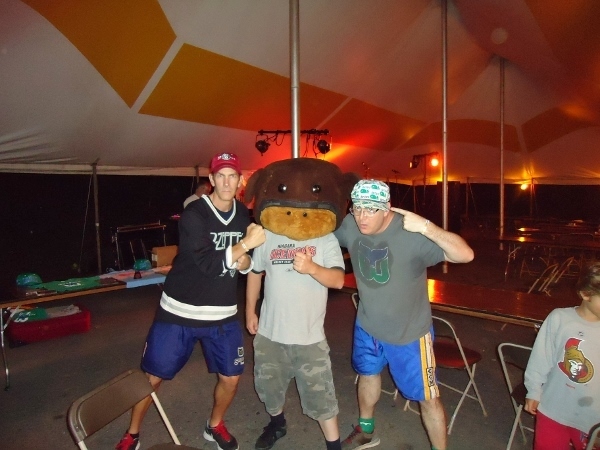 If you've been a reader of the site for any length of time you have probably picked up on the fact that our travel schedule has, since the inception of Roaming The Rinks, always been planned around our attendance at Elmira Jackals games. We have had season tickets since moving to the area, and would not miss more than a couple of the 36 scheduled home games each season. This year we are forgoing following the Jackals and concentrating on chasing new adventures and bringing you along for the ride. We wish the Jackals well, but have just grown tired of the lack of physical play in the ECHL, the constant roster turnover, and getting emotionally invested in the outcome of games in a league where the goal is not to win, but rather to develop players for the next level. 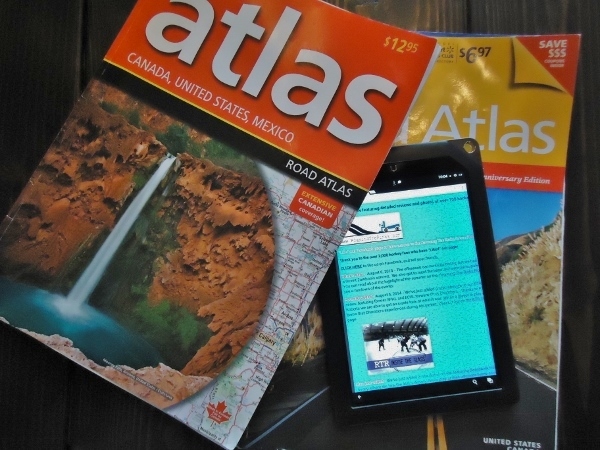 We thought now is the perfect opportunity to make the jump and take a break from the commitment of time, miles on the car (Elmira is not right around the corner, and is an hour round trip drive), and expense. Where will we end up this season? We'll plan that a few weeks ahead but hope to continue to experience hockey at all levels, from the big time AHL to the obscure, overlooked leagues in Quebec and other corners of the hockey world. So what does this all mean? We will surely attend less game overall this upcoming season, but will focus on seeing games at new arenas, and also try to bring you more features such as the RTR Inside The Glass Series. We hope to be able to attend more than the 12-18 new arenas we have been averaging for the last few seasons, and thus bring you more arena reviews than in the past. We will also have the freedom to see one-off games at arenas, such as outdoor venues and alternate arenas, whereas in the past if they conflicted with our team's schedule we would not consider that option. We're gonna wing it, check the schedules frequently, and point the car wherever we think we can have a fun hockey adventure. We'll try to attend as many of the classic, older arenas as we can, and check out some newly constructed ones along the way as well. We're free agents this year. We'll go where we want, when we want, as long as there is fun and the lure of a new hockey arena involved. We hope you'll stick with us on the journey. I am fortunate enough to have season tickets for the ECHL's Elmira Jackals, a team who makes it a point to honor local veterans, thanks to the help of the city's Ziff Law Firm. Each game a veteran is honored and given free tickets, and introduced to the crowd during the second period, always to a standing ovation. This is routine in Elmira, but a welcome part of the Jackals experience. As a hockey fan who has attended hundreds of games, and travelled to over a hundred arenas to do so there are always those rare occurrences that you may see or experience, but are considered unlikely. You know, things like a goalie fight, a 4 goal performance by a player, or a 15 round shootout. Sometimes I've even been able to experience the joy of other fans who get a rare treat, such as the lady in Kalamazoo who took a zamboni ride on her 80th birthday. When you get to experience one of these special events it makes for a memorable night. Last night a Jackals loss was offset by being able to experience (in person) one of the coolest, and most emotional events which can happen at a sporting event. The Veteran of the Game presentation actually took place on the ice at intermission, and started off with an "interview" of Army wife Brittany Daghita, who was supposed to speak about "something" as the microphone was just a ploy to get her on the ice so her husband, Army specialist Joey Daghita, could surprise her as he is home on leave from his third tour of duty in Kuwait. Needless to say the reunion was emotional, and the crowd loved it. This is one of those events you see on Youtube, or the news, but don't expect to experience in person. Regardless of the score it was a great night at First Arena last evening. Thank you for your service Mr. Daghita, and thanks to all of our veterans. Thank you also to the Elmira Jackals and Ziff Law Firm, who allowed the fans in attendance to have a memorable night. We started Roaming The Rinks to document our journey to experience hockey at as many arenas as possible. The ultimate prize at the end of the journey is finding a place that showcases the near-perfect hockey fan experience. Arena # 1 on the list proves that you don't need an NHL sized arena, or NHL caliber players on the ice, to have just that. The town of Stratford, on the Avon River, (the one in England) is best known as the home of William Shakespeare, who is synonymous with classic literature. We could care less about some old playwright with tights and pointy shoes. To us the word "Stratford" brings to mind a different kind of classic - the William Allman Memorial Arena. This barn sits a high slapshot's distance from its own Avon River, and is a perfect example of how hockey is meant to be experienced. It is not simply an arena that is preserved from times past. It is actually a restored monument to the game that is so intertwined with Canadian culture that the game and country can hardly be separated. It's as if not much has changed here since the 1924 arena opening, yet the classic features look almost spotlessly new. Not only is this building remarkable to look at, the community support for the Cullitons rivals that of any other small town team in Canada, making for a dynamic fan atmosphere. You may have to roam off the beaten hockey path to wind up in Stratford, but it is worth the trip, and worth skipping the more "big time" hockey options in Southern Ontario. Attend a game here. Experience hockey in an incredible setting. Have fun doing it! Stay tuned all summer as we unveil a new arena in the FUN FIFTEEN ARENA COUNTDOWN every Saturday. How it works- Although we have seen lots of different venues we are not bold enough to say that this list is a list of "the best hockey arenas in North America" simply because, despite seeing so many different arenas (over 100), we have still experienced hockey at small fraction of the places available to view big-time hockey. Since the rankings all come from me you can be assured that the rankings will be consistent. What we consider when making the list- There are a ton of factors to consider when ranking arenas. Architecture, fan experience, crowd support, the tradition of the particular hockey market in question, and most importantly atmosphere all come into play. We don't attend games to check out the jumbotron, have a $5 hotdog, or get a bobblehead giveaway. We attend games because we want to experience hockey in all of the ways it is presented. What's most important when considering if an arena was a great one or not? Well, if the place ties in most or all of the above listed attributes and you can say you had fun then it will surely be near the top. We want fans to check out the reviews of these arenas and hopefully make plans to experience some of these places yourselves. The most important factor is that intangible feeling that you get when you leave a great arena after the game and can say "that is what hockey is all about". The fifteen arenas on this list will certainly have that X factor. 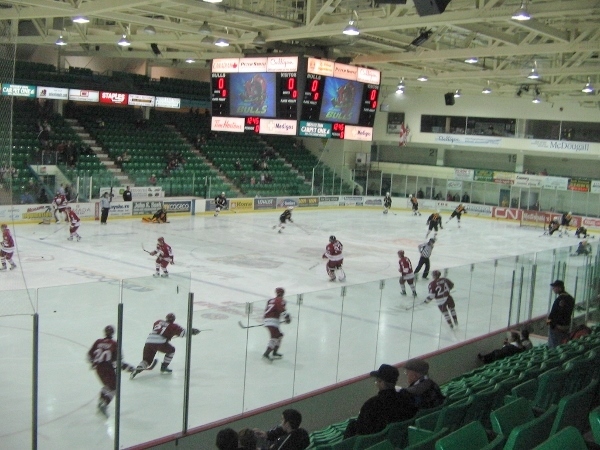 Arena # 2 on the list is just one of those places that all hockey fans must visit. We were fortunate enough to see the Chiefs play multiple times at this old barn, and now the fans in Johnstown have the Tomahawks of the NAHL to cheer for. 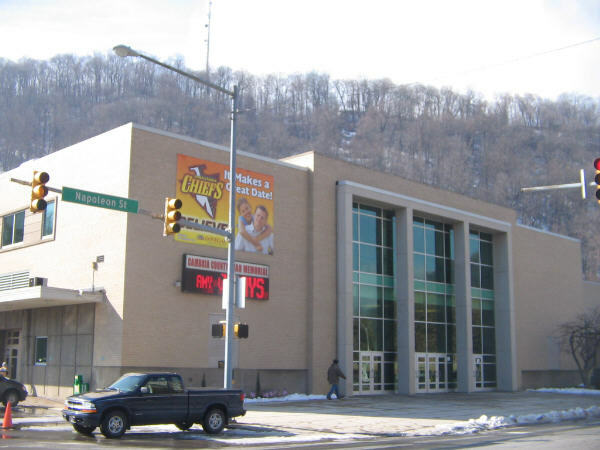 The War Memorial is nothing fancy, yet it fits the gritty nature of Johnstown to a T. On our first visit there (before we even thought of the Roaming The Rinks concept) we fell in love with what this building had to offer. Sitting in the top row as the linesmen skated out to check the nets and ice for warmups you could hear every carve of the skate blade. Fans are that close to the action here. Factor in the fact that since the Charlestown Chiefs of Slap Shot played here and the movie was primarily shot here it makes for a fun evening anytime you can experiene a game in this setting. You know you will be repeating movie quotes every chance you get too. 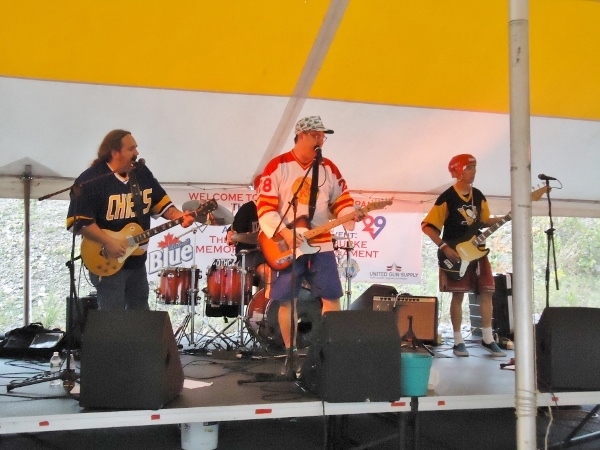 We salute not only the building, but the hockey fans of Johnstown, who are flat-out great. With its proximity to Pittsburgh, Johnstown will always be a football town, but hockey has a special place here, and thankfully, (except for the removal of the wooden seats), folks can experience that unique, old-fashioned vibe for years to come hopefully. Get to Johnstown some day and check out some "old time hockey". Watching a game here is the best re-creation of a trip to the 70's that you could imagine. How it works- Although we have seen lots of different venues we are not bold enough to say that this list is a list of "the best hockey arenas in North America" simply because despite seeing so many different arenas (over 100) we have still experienced hockey at small fraction of the places available to view big-time hockey. Since the rankings all come from me you can be assured that the rankings will be consistent. 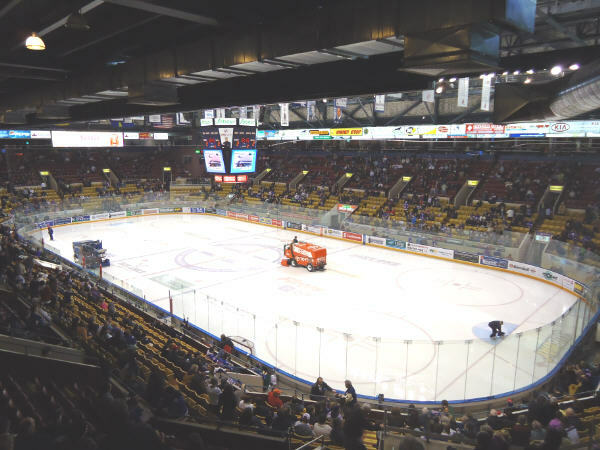 We have read on other websites how the Aud in Kitchener is "the best arena in the OHL". This naturally raises our expectations when you hear such high accolades, and often leads to disappointment when you actually experience the venue. 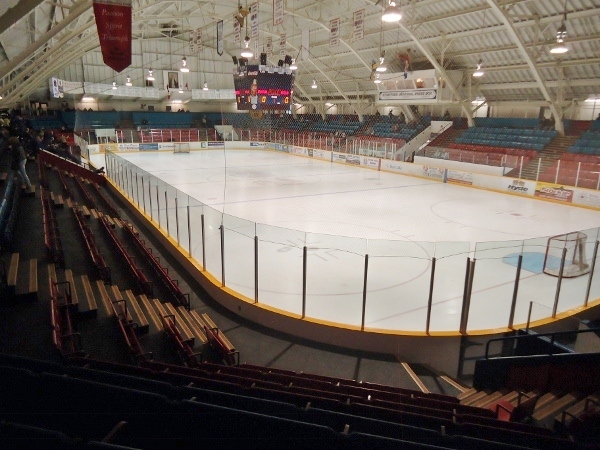 Simply put, Kitchener Memorial Auditorium is all of that and more. Experiencing a game here, with its nearly always sold out crowds and passionate fans who are here to watch the game and cheer for the Rangers, rather than drink or socialize, makes for about as pure of a hockey fan experience as you will find. The building does not have one feature that stands out. It is not the newest, nor the oldest. It is not the biggest, nor the most intimate. The Aud simply has all of the intangibles that make it an incredible place to watch a hockey game. If you wanted to take someone to one arena in their life to experience how hockey should be you would be safe if you took them to Kitchener. Although they have added additional seating since our visit this place should still be on a "Must See" list for any hockey fan who has not had the pleasure of seeing the Rangers take to the ice here. Quebec is full of ancient, colorful, unique barns. Arena Jacques Plante just happens to be the one that we have experienced which most closely embodied the perfect hockey fan experience. This 1937 era art deco classic has the exterior look of a cathedral in many ways. 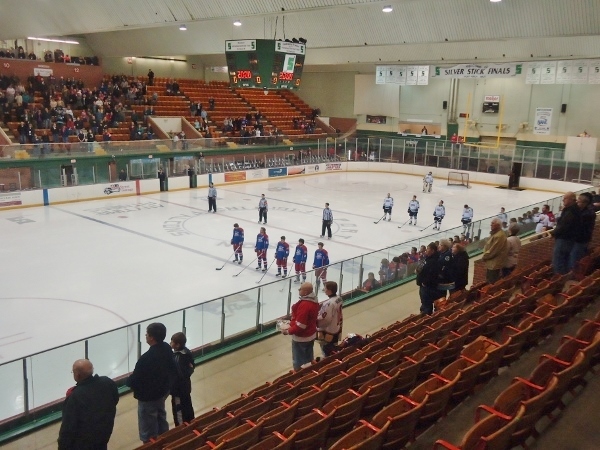 Its brick exterior and stately shape make it seem huge on the outside, but inside is as intimate of an arena as you will find, with 3,700 spectators packed into its colorful wooden bench seats, which seem to hang over the ice. 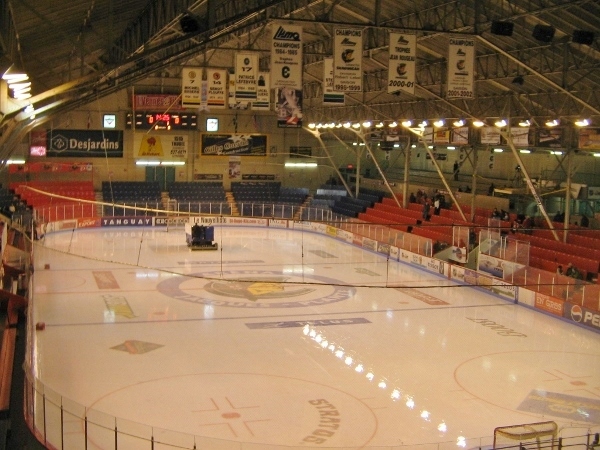 We were extremely thankful that we could experience this gem in its last season of use for QMJHL hockey. Arena Jacques Plante went out on top though, as although weathered, the atmosphere inside even at the end was electric. The sound of air horns and smell of beer mixed so well with the colorful and historic design of the arena that watching a Cataractes game was nearly as close as you could get to how hockey was 60-70 years ago. It is for all of those reasons that Arena Jacques Plante has earned such a high ranking on the countdown.